Can I export my workout information? As a client, you cannot export your workouts. However, your coach does have this option, so you'll want to reach out to them directly to get that sent over. 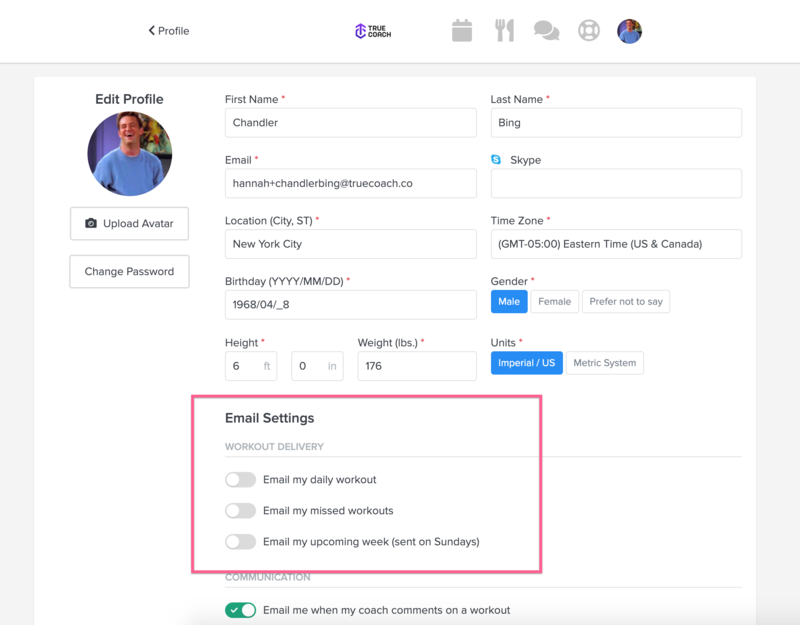 You can keep a record of your workouts in your email if you choose to turn that setting on. You can do that from your account page.